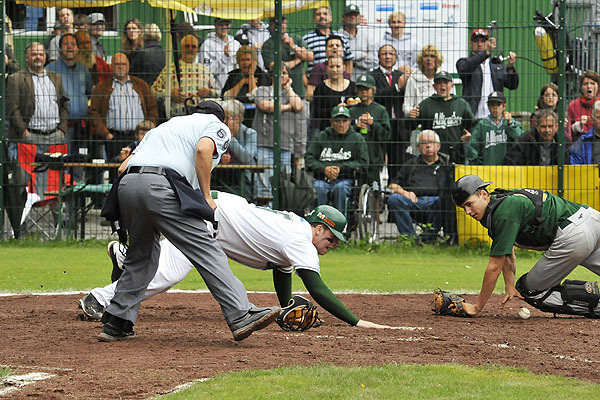 The BUCHBINDER LEGIONAERE, the HEIDEKOEPFE and the ALLIGATORS completed sweeps in the quarterfinal series on Saturday. The TORNADOS clinched the fourth semi-final berth on Sunday, taking the series against the UNTOUCHABLES 3-1. The next round starts on August 1st, as the German national team will make the trip to Prince George, Canada this week for the World Baseball Challenge.